International Perspectives of Festivals and Events addresses contemporary issues concerning the potential of festivals and events to produce economic, social, cultural and community benefits. Incorporating a range of international perspectives, the book provides the reader with a global look at current trends and topics, which have until now, been underrepresented by current literature. 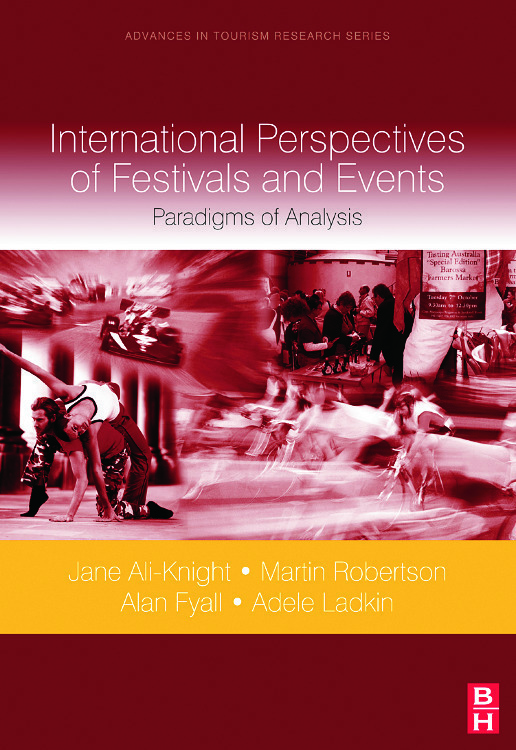 International Perspectives of Festivals and Events includes a broad range of research, case studies and examples from well-known scholars in the field to form a unified volume that informs the reader of the current status of festivals and events around the world. In a fast-moving industry where new theory and practice is implemented rapidly, this is essential reading for any advanced student or researcher in festivals and events. 1. Using major events to promote peripheral urban areas: Deptford and the 2007 Tour de France. 5. The South Korean Hotel Sector’s perspectives on the ‘pre’ and ‘post-event’ impacts of the co-hosted 2002 Football World Cup. 8. The Buon Ma Thuot coffee festival, Vietnam: Opportunity for Tourism? 9. Tasting Australia: A celebration of cultural identity or an international event?